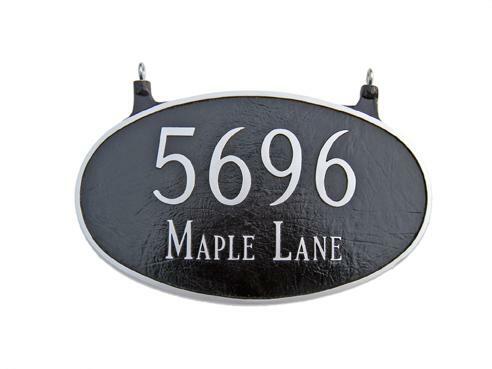 These cast Aluminum Mailbox Address signs feature permanent raised white reflective characters on a baked black satin finish. High visibility and style without any regret. 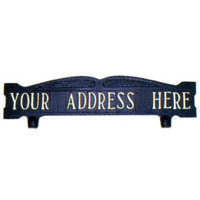 This address sign is quickly attached to the top of your mailbox by creating a template and drilling 2 holes in the top of the mailbox then using the included bolt and wing nut to secure the sign. Installation time about 15 minutes. 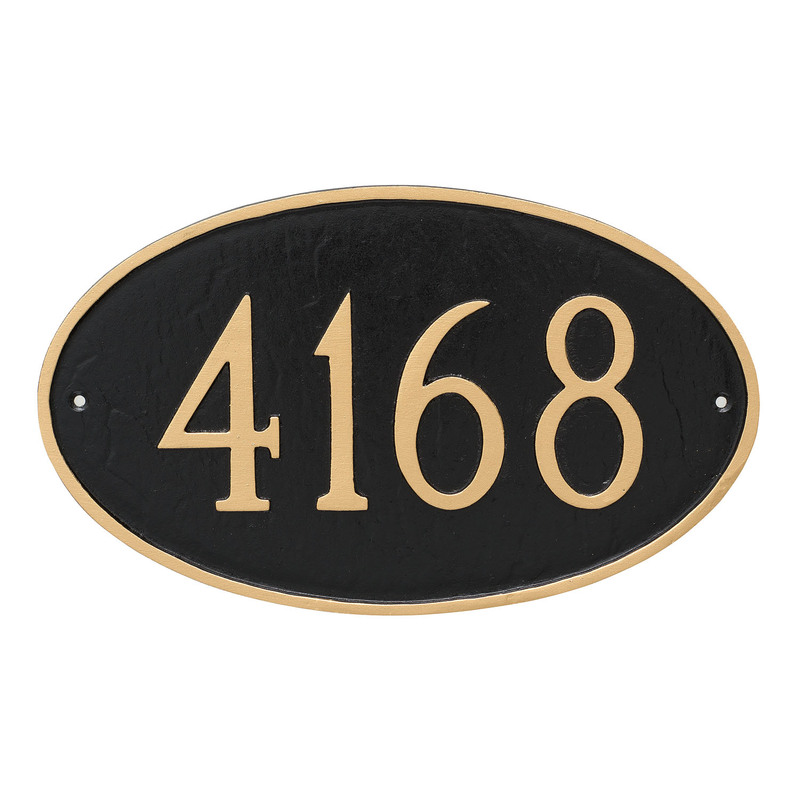 This mailbox address sign holds up to 17 1.25 inch characters in the font of your choice on both sides of the sign. 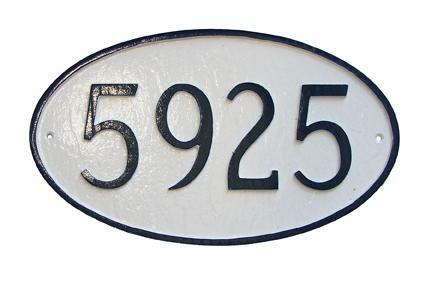 The less the number of characters, the larger the size of font is used to look correct on the sign. 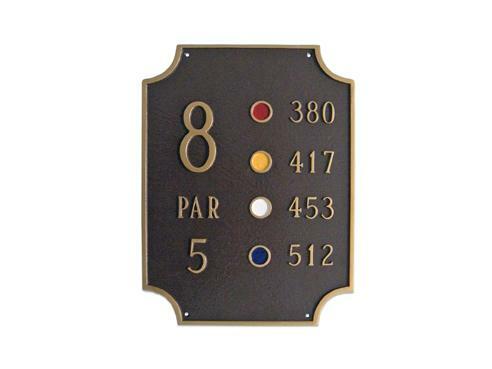 These signs are 14.75 inches wide by 3.25 inches tall and the ornament is about 4" additionally tall.